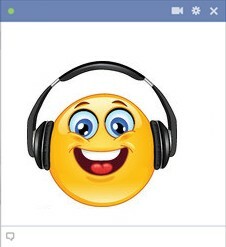 This great Facebook smiley enjoys listening to all kinds of music. Let your family and friends know that you’re just relaxing to your favorite tunes as you hang out on Facebook. 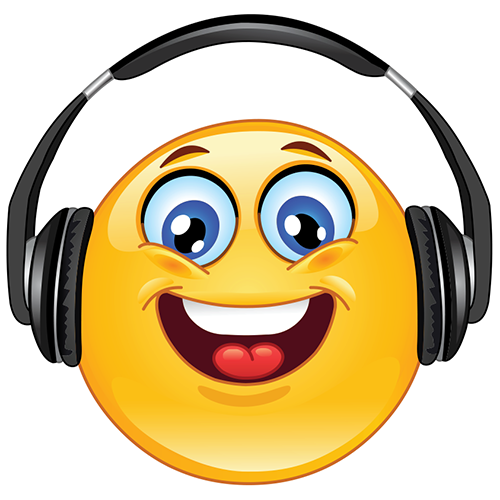 Our cool music-loving emoticon is a fun way to express what you’re doing when you message or chat with friends on Facebook. Copy and paste the chat code now to share the top tunes!